GreenWood, Inc. is a Women-Owned business certified by the Women’s Business Enterprise National Council (WBENC). We are a licensed, full-service general, mechanical, and electrical contractor, and operate as a direct-hire open shop. Our services are structured to proactively address your maintenance and operations needs. For over 25 years, we have been dedicated to customer relationships built on mutual trust and satisfaction. All services are performed safely and in a manner that achieves customer goals in quality, value, and performance. Our innovative and affordable solutions promote safety, transparency and flexibility to serve your specific needs. We implement, execute, measure and manage programs that improve asset utilization, increase plant productivity and reduce costs for process and discrete manufacturing operations. To ensure best practices are consistently leveraged, we maintain a focus on continuous improvement based on identified opportunities and defined deliverables. Performance data allows our teams to track, measure and report on progress to ensure objectives are being met, value is delivered and productivity maximized. Taking this approach allows us to share leading practices across our project sites for consistency in overall performance. Functioning as the customer's maintenance department, GreenWood provides the full maintenance operation of a customer's plant or facility. All responsibilities and leadership resources are included for maintenance management, mechanics and technicians; technical and administrative functions; maintenance control programs and systems; stores and spares programs; utility operations, training, and more. A comprehensive transition plan allows for a smooth changeover to GreenWood. This provides a process to define and meet initial client objectives and identify new opportunities to drive improvements for the site. 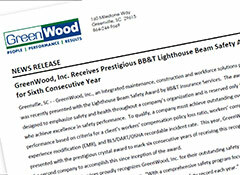 Key leadership personnel from GreenWood and the client team are involved throughout the transition to ensure success. 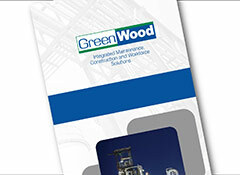 To supplement the customer's in-house maintenance and capital projects resources, GreenWood can provide a highly skilled work force and support staff. 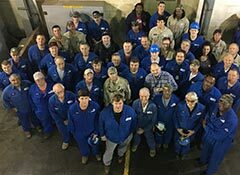 This service allows customers to maintain optimum skills and numbers of its own personnel, while using GreenWood to provide supplemental personnel during normal and peak workload periods. In addition to skilled resources that perform both total and supplemental maintenance, GreenWood offers a complete menu of services to serve facility and plant maintenance as well as capital project needs. For construction, modification or expansions of plants and facilities, GreenWood offers comprehensive construction support services designed to meet schedules, adhere to budgets and ultimately achieve project goals. These support services include overall project management that encompasses the entire project from concept to completion. 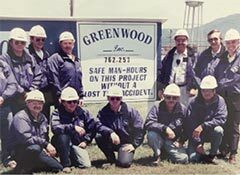 GreenWood’s team manages the process at every level to ensure all details are addressed while work is performed at the highest industry standards in the safest manner possible. Piping – small and large bore process and utility piping utilizing mild steel, austenitic stainless, aluminum and nickel-based alloys. This applies to fabrication and site work installation.